“In spite of rationing I think everyone in the village was adequately fed during the war. Although the men worked hard on the farms all day and did Air Raid Warden Duty and Red Cross training in the evenings’ they still managed to grow vegetables to supplement what little meat we could buy. The WI ran classes in the Village Hall for the Ministry of Food, Spitfire Week, and Warship Week. The children had time off from school ‘Potato picking Fortnight’ and also helped gather rosehips from the hedgerows for making rosehip syrup, a good source of Vitamin C when oranges were not available. 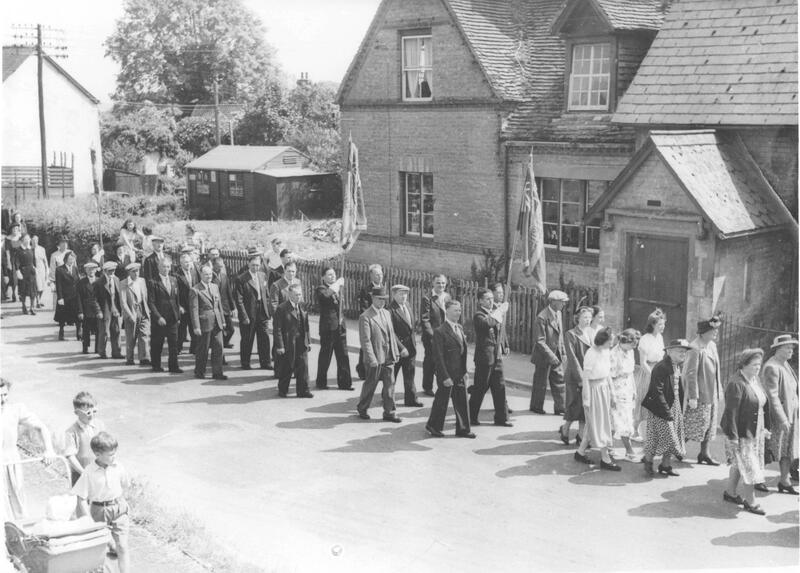 For entertainment Mr Maddox the schoolmistress’ husband gave monthly film shows in the village hall and the ENSA concert parties visited us."